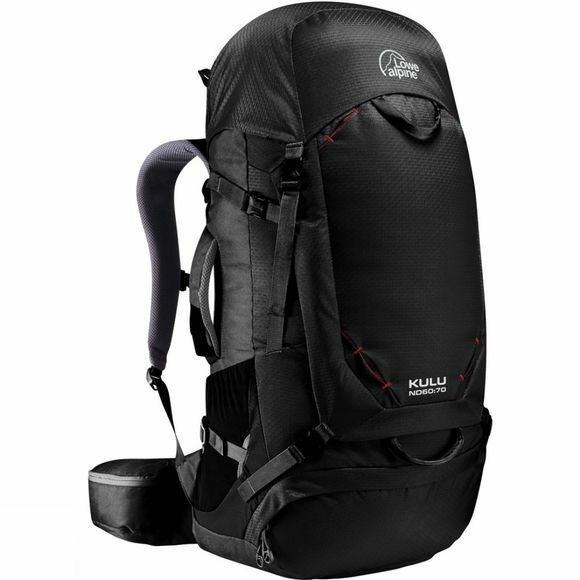 The Womens Kulu ND50:60 Rucksack from Lowe Alpine is a great option for those looking for a bag for travelling and going out on adventures.With its adjustable, ventilated back system, you can make sure it fits just right leaving you to travel in comfort all day and not have to worry about getting a sweaty or sore back. The travel flipbelt and travel cover keep all your straps safe and secure while in transit or storage. With the 2 side carry handles, you can give your back a rest moving around or getting on and off the trains. With lots of pockets, carrying all your essentials couldn't be easier and the emergency whistle included on the sternum strap just in case you need it.